Photograph courtesy of Hoffman Landscapes, Wilton, CT. When is the best time to aerate? Aeration can be done anytime during the growing season. 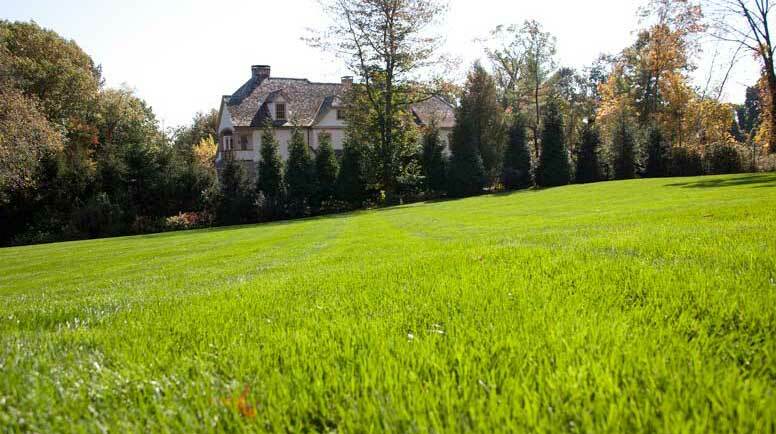 How many times your lawn needs aerating depends on its soil compaction. The two most popular times to aerate are in spring and fall. Spring aeration gives grass plants a little extra boost and provides faster greening; fall aeration helps strengthen underground root systems while providing an excellent bed for overseeding. Your landscape professional can tell if your lawn needs aerating and suggest the most appropriate time to have it done.